Michael is a commercial litigation attorney who sees litigation as a chess match—and who aims to be three moves ahead. He is passionate about litigation’s intellectual challenges, and digs deeply into case details. Michael sees it as a privilege to help clients solve their business problems. 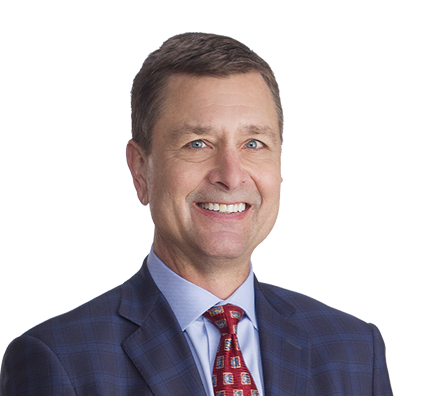 Michael’s practice is concentrated on commercial litigation and product liability, and he serves clients in a diverse range of industries. He represents hedge funds, partnerships, public and private corporations, and REITs in breach of contract, breach of fiduciary duty, fraud, mass tort and class action product liability. Michael’s experience is both national and international—serving as national coordinating trial counsel in mass tort and class action suits, and representing clients in mediations and arbitrations both domestically and in Europe, the Caribbean and Asia. Because of this breadth of clients, Michael offers an in-depth understanding of varied industries. While each client represents a unique business and a unique situation, Michael’s decades of experience ensures he’s handled a similar case.